In a pestle + mortar or small bowl, smoosh the raspberries. Add the lemon juice and stevia to taste. 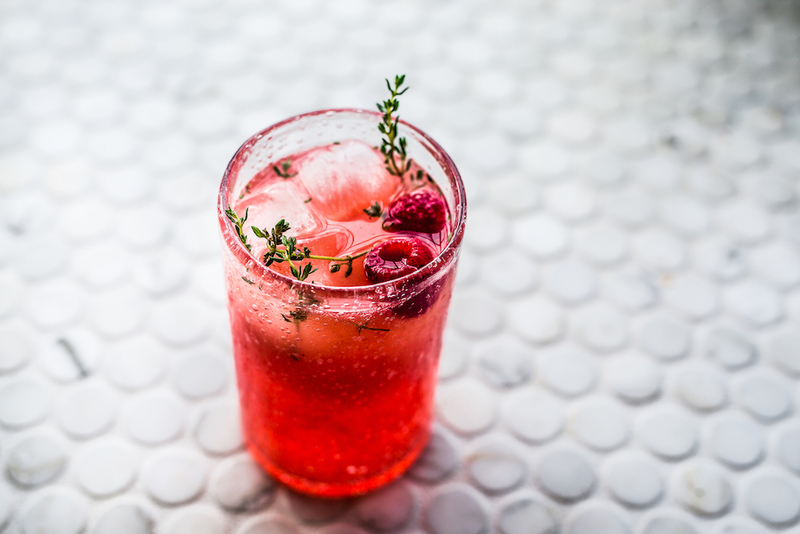 Gently stir the crushed raspberry mix into the sparkling water. 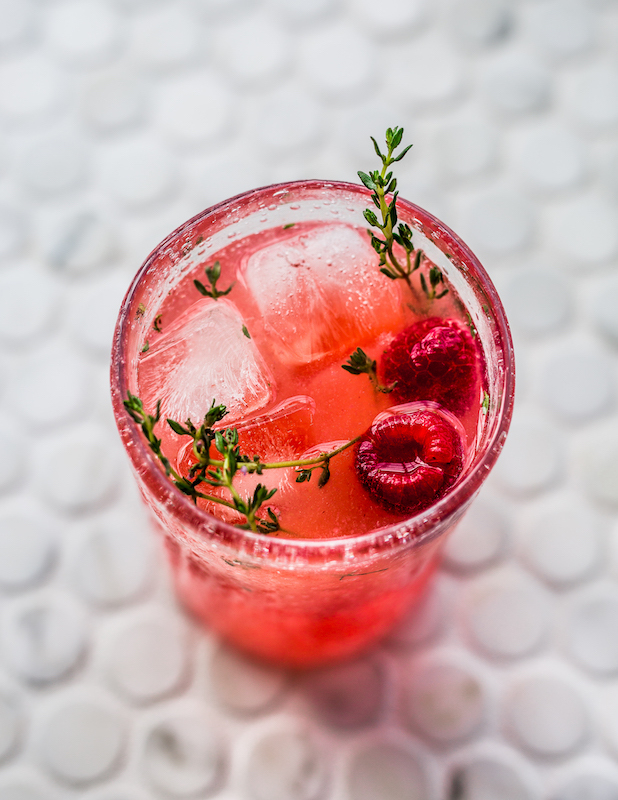 Serve over ice with thyme sprigs. Thanks for the feedback L! !